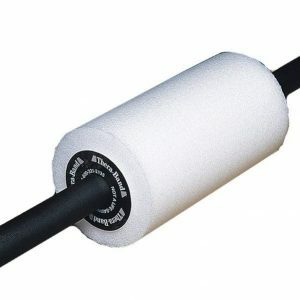 Thera-Band® Aquatic Hand Bars are a great tool for aquatic therapy and fitness. 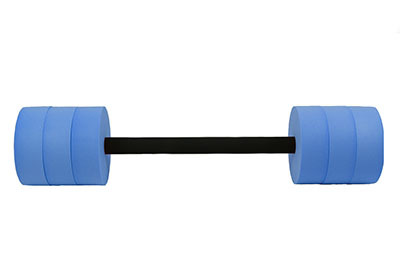 Aquatic weights are like dumbbells for use in the water. 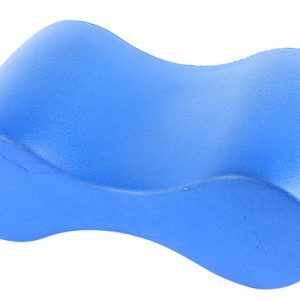 Thera-Band® Hand Bars are supplied in three levels of resistance and buoyancy in the water. Sold in pairs, all three sizes are color-coded and have padded handles for added comfort during use. 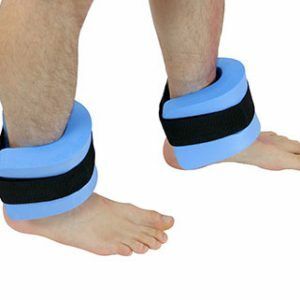 versatile water exercise tools that provide increased muscle strength and flexibility while preserving joint strength. Able to improve the range of motion of the upper extremities, these Thera Band Hand Bars also provide three levels of resistance that tone your arms, chest, shoulders and back so you look your best. 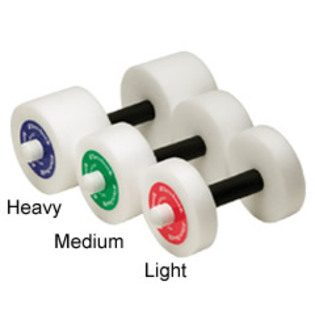 These easy-to-use aqua therapy dumbbells have comfortable padded handles and smooth foam with capped ends for use in various water exercises. When moved underwater the natural buoyancy provides smooth resistance that tightens abdominal muscles, leading to improved balance.